Our family is proud to introduce the answer to many of the questions surrounding cremation. 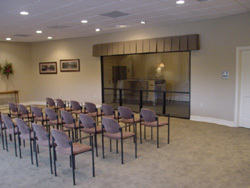 Broussard’s Crematorium is a state of the art facility designed with the needs of families in mind. Where a family and friends gather for a final committal service for the person they have loved in the same manner others would gather at a cemetery. Where they are greeted by a properly attired professionals in a welcoming and appropriate atmosphere surrounded by floral tributes. The final act of a funeral service is conducted at the place of final disposition with family and friends in full accord. Families even have the option of witnessing the beginning of cremation with the placement of the person’s casket into the cremation chamber. This is accomplished in a completely dignified manner similarly to the way one would stay at a cemetery to witness a burial. No longer are the final steps of someone’s cremation in Southeast Texas executed in a publicly inaccessible area. Everyone attending will know, just as it occurs in a graveside service, that we have walked the final mile with that person to their place of committal. It is our hope, as in all that we do, that this meaningful opportunity for families will assist them in coping in the transition of life with someone, to a life without their physical presence in it. The cremation of someone represents a final disposition alternative to earth burial. The services listed below outline the general choices Southeast Texas families select when choosing cremation for a member of their family. Any of these selections can be, and should be personalized to meet the needs of those it will ultimately benefit, your family. Our family is available to assist you with any of your questions or concerns. This type of service is very similar to the traditional services that most cultures associate with earth burial. 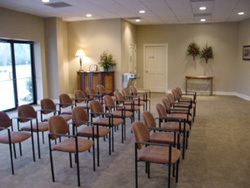 Family and friends gather the night prior to the person’s funeral at the funeral home or church. They share stories, pictures, and memories with each other all in the presence of that person’s physical body in their casket. The funeral typically follows on the next day at their church or our chapel, and just as in generations past processing to the cemetery, this congregation processes to the Crematorium for a final committal service. This is a complete and healthy experience not only celebrates a life lived, but ensures that the entire family shares in a meaningful event. Choice would begin with a gathering of family and friends the night prior to the committal service. This gathering would occur either at the funeral home or a church, with the person’s physical body present in their casket. Those in attendance share stories, pictures and memories. The committal service would typically occur the following day at the Crematorium in a similar way others may attend a scheduled graveside service at a cemetery. This option is a meaningful and healthy opportunity for both family and friends. This option for families is centered around the memorial service. This service could occur either in our chapel or your church, and the person’s physical body would not be present. The gathering of family and friends would typically begin one to two hours prior to the time of the memorial service in that same location. 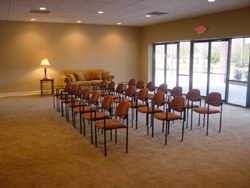 A private family committal or viewing at the Crematorium would occur at a different point in time of the gathering or memorial service.